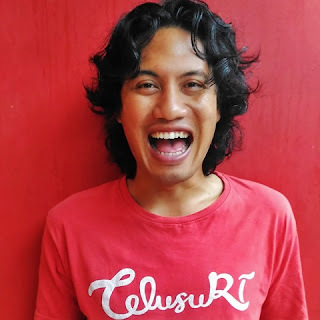 Krompyang ... !!! I hear plates and spoons clashing. Visible a scaly reptile, long-tailed, long lop, and long claws. Large-sized lizards go up to the dining table to join the breakfast; warm rice, omelet, and fried barracuda. He seems not afraid of humans, because usually when he saw humans, these reptiles blurred. A beautiful morning on the Biawak Island, where humans and monitor lizards interact in harmony, though sometimes these reptiles behave mischievously. Early morning at 03.00 I was in the fisherman village in Karangsong-Indramayu, West Java. A fishing boat with 3 powerful 24 PK engines will cross us from Indramayu harbour to Biawak island. 20 mill sea or about 40 km distance that must be taken to go to Biawak Island. There is no official ship that has a route to the island. The visitors will rent a fishing boat with a price range of 2.5 - 5 million rupiah depending on the size of the boat. The travel time also depends on the ship's engine power. When the sea and good weather, take 2.5 - 3 hours, but if bad weather travel time about 4 hours of shipping. 4 hours we cross from Indramayu to Biawak Island. 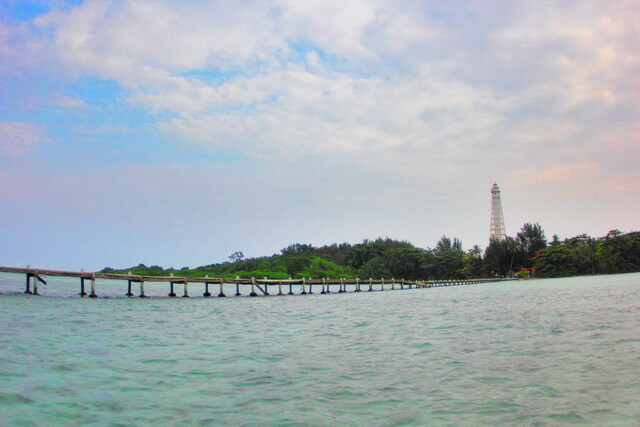 At the Biawak island, the visitor can see the lighthouse on the island. Welcome to Biawak Island. I was immediately greeted by endemic creatures here, monitor lizards or scientific names Varanus salvator. Some lizards have come out of hiding to welcome us. Lizards on this island are used to interacting with humans. There are 20 lizards that have been tame, while the rest are still wild. Monitor lizards become the symbol of this island and will be used as branding. 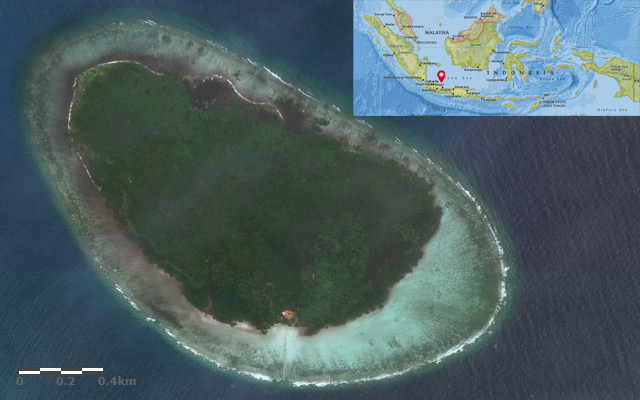 In future, this island will be made similar to Komodo Island in NTT (east Nusa Tenggara). On this island there is a Lighthouse built in 1872 is still firmly standing despite some parts that are still porous. Lighthouse as high as 65 m with 16 levels and 233 steps. Staircases have a circular construction can be scary when viewed from a height. At the top of the lighthouse can see an island of 120 hectares. 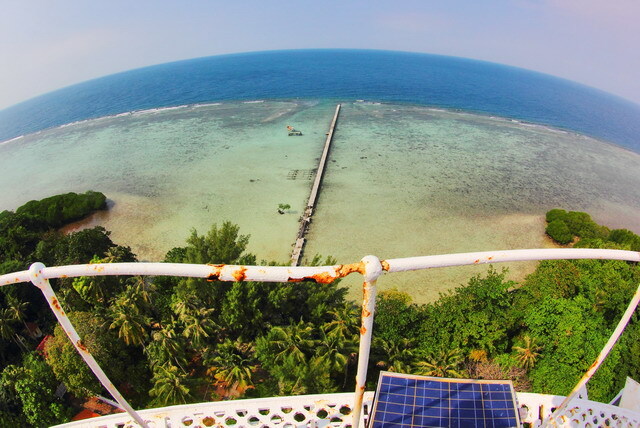 Biawak island from lighthouse tower. 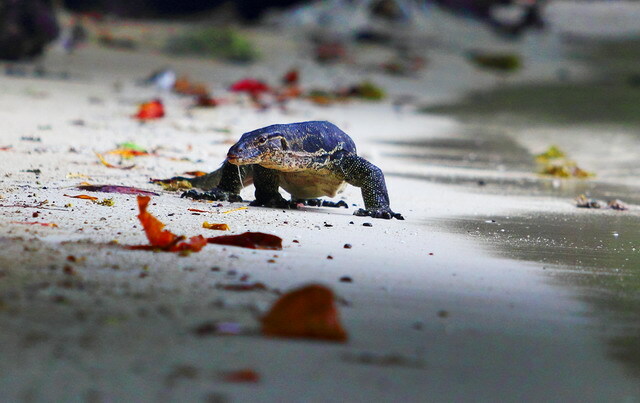 I had the opportunity to visit the underwater world of the island of Biawak. Me and my friends will dive in the sea. We dive on the western side of the island to be protected from the ocean waves. We plan to dive at a depth of 12 - 15 meters to see the coral reefs Island Biawak. The existence of monitor lizards on this island has become a natural guard. The challenge ahead is how to keep this reptile sustain and make it look like Komodo Island. Biology that takes up a lot of time. Some of the time I use to shoot, travel, dive, write, and find places that are not visited by people. I like to trapped in it. Hello, my name is Dhave. Biology that takes up a lot of time. Some of the time I use to shoot, travel, dive, write, and find places that are not visited by people. I like to trapped in it.